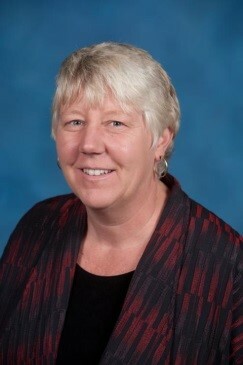 Beate Baltes brings over 20 years of experience in higher education teaching, service, and scholarship as well as 12 years of experience in various academic leadership roles including Department Chair, Associate Director for Faculty Excellence, and Program Director of the EdD Teacher Leadership program. Currently she is serving as a University Research Reviewer in the School of Higher Education, Leadership, and Policy. In addition, Beate has an outstanding record in teaching and mentoring, service, and scholarship and received the Outstanding Faculty Award in 2013. Dr. Baltes’ current research interests focus primarily on eLearning and virtual communities of practice. Dr. Baltes frequently presents at national and international conferences and has published in peer-reviewed journals. Baldasaro, M., Nancy, M., Baltes, B. R. (2014). A study of a knowledge community's perceptions of the loss of place. ERIC. Baltes, B. R. (2010). Affirming diversity in an online course. Campus Wide Information Systems. Schlieder, M., Maldonado, N., Baltes, B. R. (2014). An investigation of “Circle of Friends” peer-mediated intervention for students with autism. The Journal of Social Change. Henry, D., Baltes, B. R., Nistor, N. (2014). Examining the relationship between math scores and English language proficiency. Journal of Educational Research and Practice. Brown, M. S., Baltes, B. R. (2017). The relationship between social change involvement and education.. Journal of Social Change . Baltes, B. R. (2002). Virtual classroom discussions versus traditional classroom discussions. Mitchell, I., Nistor, N., Baltes, B. R., Brown, M. S. (2016). Effect of vocabulary test preparation on low-income Black middle school students’ reading scores. Journal of Educational Research and Practice. Baltes, B. R. (2017). Cumulative Dissertations. Baltes, B. R., Brock, P. (2016). It takes a village for edTPA success. Brown, M. S., Baltes, B. R., , . (2018). The Impact of the Research Program Director's Prospectus Review on Doctoral Capstone Proposal Approval. Association for the Advancement of Computing in Education.